San Pedro Sula - Australia star Aaron Mooy says the Socceroos will go all out for victory on Friday as they aim to edge closer to the World Cup in the opening leg of their playoff clash with Honduras. Mooy will be one of the linchpins of the Australian effort at San Pedro Sula's intimidating 40 000-capacity Estadio Olimpico Metropolitano, where Ange Postecoglou's men will hope to take a stride towards a fourth consecutive World Cup. Australia has had an unhappy record in World Cup playoffs, losing five deciders between 1966 and 2002 in a string of agonising near-misses that saw the Socceroos become eternal nearly-men. However despite that record, Mooy, 27, said Australia coach Postecoglou will eschew caution as the Socceroos aim to carve out a decisive advantage to take back to Sydney for next week's second leg. 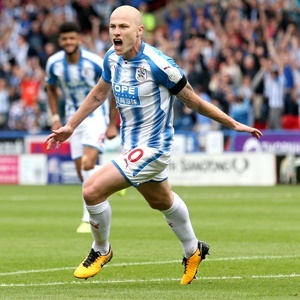 "The way the boss wants us to play is to go all out and try and win the game," said Mooy, who is brimming with confidence after a successful start to the English Premier League season with Huddersfield. "It doesn't matter if it's away or home - that's what we will do. And hopefully that will give us a good result to take back to Sydney," Mooy added. Australia are already battle-hardened having come through a demanding play-off against Asian rivals Syria to determine which team would advance to face Honduras, the fourth-placed finisher in the final round of CONCACAF qualifying. Mooy said the experience of prevailing over Syria in a tense two-leg battle would stand the Australians in good stead as they prepare to face Honduras, who are eyeing a third consecutive World Cup after appearances in 2010 and 2014. "It gives us belief that we overcame that challenge," Mooy told Football Federation Australia when asked about the Syria win. "We've got another big challenge coming up and I'm sure it will be another tough game. But we've overcome these challenges and the next one will be no different," Mooy added. The venue for Friday's game is in a Honduran city notorious for violence linked to the drug trade. Mooy however said the Australian squad had received a warm welcome since arriving in Honduras. "It's not been a problem so far. Everyone seems nice and friendly," Mooy said. "I'm sure once we get to the game though it's going to be a bit different."